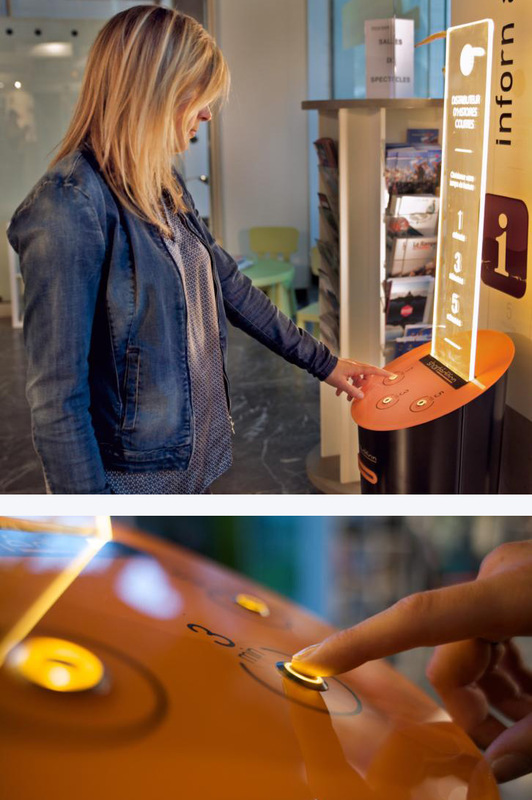 The Short Edition Short Story dispenser has been designed to standout and be noticed, whilst not looking out of place in our clients’ locations. For the dispenser Short Edition used a design consultant to perfect the robust yet sleek design that is both durable and eye-catching. The dispenser has a backlit panel, which can be personalised with your brand. The roll of paper features your logo, and also gives you the option of sending a specific message to your customers, for example, a call to action such as ‘visit our website’. 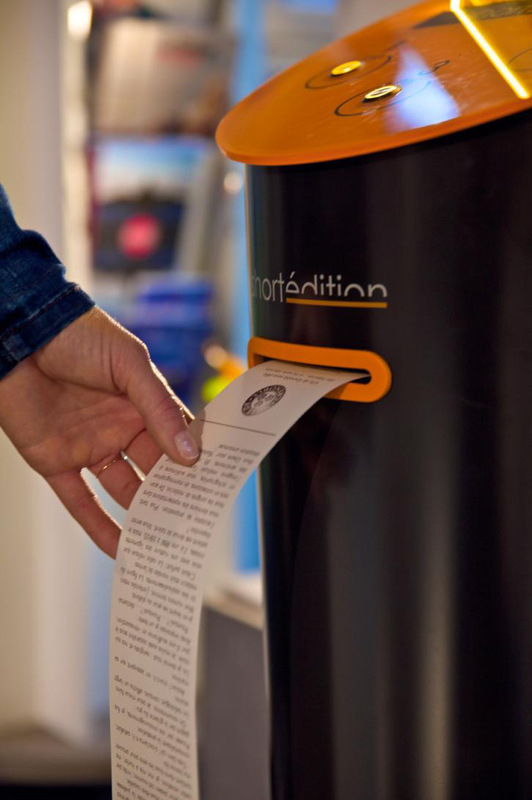 The Short Story Dispenser is free to use so your customers have nothing to pay. The stories are printed on eco-friendly paper, which is certified FSC and BPA-free and without the need for ink or cartridges. The stories are printed on demand so there’s no wastage. • Plug it in and change the paper roll when you receive an alert. • Short Edition manages your connection to the Short Edition literature platform, updates content and is responsible for the maintenance of your dispenser. • Real-time monitoring of each Short Story Dispenser (statistics by site, paper consumption, monitoring of use). • Customisation of the paper footer e.g. branded with your logo. • Alerts are sent out when the paper roll runs out. • Short Edition will help you select stories appropriate for your customers. • Choose from a wide selection of short stories or poetry, 1, 3 or 5 minutes in length. • View story catalogues by style, for example, children’s stories, thrillers, comedies and crime stories. To find out how the Short Edition Short Story Dispenser could add value to your business or organisation call us now on 0114 282 1283.